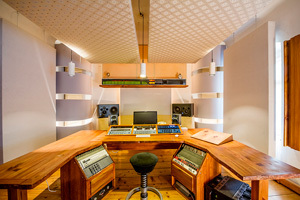 Castle Mastering studio at Castle Wildberg in Upper Austria. Built by Alexander Jöchtl. Photo by Karin Lohberger Photography. Imagine . . . you just spent 40 hours perfecting your latest musical production. Obsessing over the nuances. Ensuring that it sounds homogeneous, balanced, artistic and tasteful. You thought you had everything nailed, until you head over to a top recording studio and try playing it there. Everything sounds different. Not at all like you intended. You hear mistakes and artifacts that you never noticed before. You realize that the dynamic range is not well utilized. The frequency balance is off. The timbre lacks richness. The soundscape lacks depth. The instruments don’t jive within the space like you imagined they would. The problem is not you: it’s your room acoustics. Hear your music, not your room. Even if you have the world’s best speakers: if your room has not been acoustically treated, you’re not hearing the full story. Inspire musicians, don’t thwart them. Even if you have a group of brilliant musicians: it’s difficult to perform (and uncomfortable to listen) in a room with offensive acoustics. Now, imagine that any time inspiration strikes, you had the perfect acoustic space to work in . . . to play in. You had peace of mind knowing that your room acoustics were beautifully balanced and your ears were not being deceived. You could hear your recordings, mixes and performances with stunning clarity, giving you the confidence to dive into your creative flow and produce music fluidly and artistically. Your musical vision would no longer be hindered by forces beyond your control — you’d be limited only by your skills. You’d be confident that what sounds true to your ears is indeed true, giving you the confidence to take your craft to a new level (or charge more for any music-related services you offer). OPTION 1: You can keep producing music that sounds substandard because your room acoustics interfere with what you’re trying to hear. OPTION 2: You can decide that it’s time to start producing music like a professional. To do that you need to hear your music accurately, and that means applying acoustic treatments strategically so that your room works with you, not against you. In a short time you’d have a space that looks professional, and sounds phenomenal. Produce better sounding albums that sound great no matter where you play them. Hear your mix, not your room. Hear the details with clarity, so you can accurately assess audio through critical listening. Have the confidence to charge your clients more for any audio production services you offer. Save time during production by working in a space with controlled acoustics. Stop having to go back to compensate for a bad sounding recording or an unbalanced mix. Listen to music the way it was meant to be heard. Enjoy the subtle nuances. Experience a beautifully layered sound stage with realistic depth and vivid stereo imaging. Close your eyes and feel like you’re in the room with the performers. Capture organic, lively recordings with natural reverberation. Hear your musical performances with clarity and beautiful ambience that enhances the natural sound of your instruments. 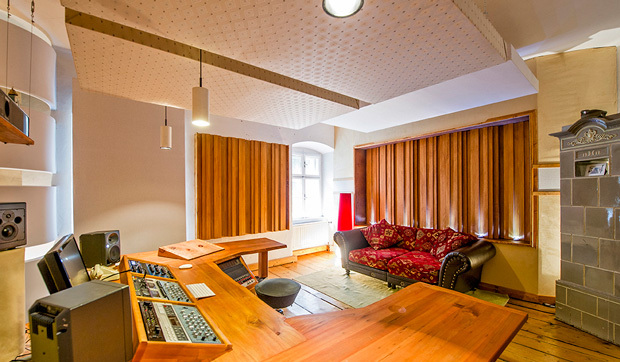 Castle Mastering studio at Castle Wildberg in Upper Austria. 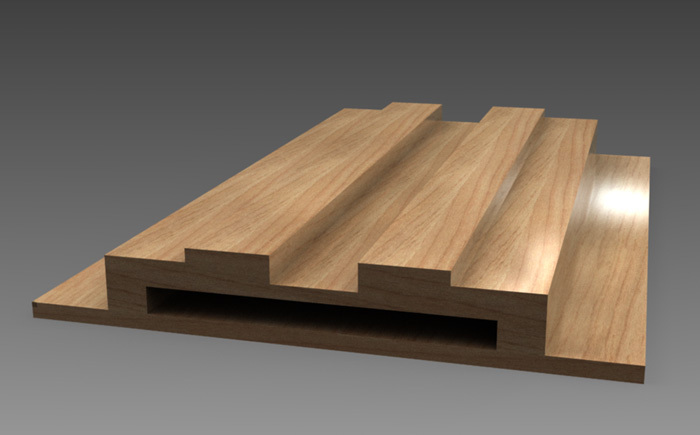 Our Leanfuser optimized sound diffusers are built into the side and rear walls. Built and run by mastering engineer Alexander Jöchtl. Photos by Karin Lohberger Photography. Hi, I’m Tim. I’m Here to Help You Upgrade Your Acoustics. In case we’ve not yet met, my name is Tim Perry and my specialty is acoustic design. I studied acoustics and audio production at the University of Victoria while majoring in electrical engineering, and I’ve been doing research and design in recording studio acoustics for 7 years. 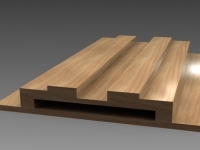 If you do a Google search for “sound diffusers” or “acoustic diffusers”, you’ll find some of my acoustic treatment designs (optimized DIY diffuser blueprints, which you’re free to download if you’ve not yet done so). I’d like to specify an acoustic treatment plan for your rooms, using sound intuition and smart acoustic design strategies (the same ones I use when designing recording studios from the ground up). At any time while reading this page, you can send me your room treatment requirements by clicking the big button in the sidebar or at the bottom of the page. If you’re looking to build your dream studio from the ground up, I also offer a premium recording studio design service. 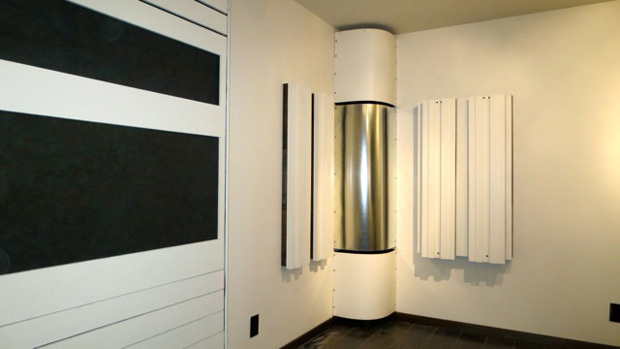 Precise Solutions to Enhance Your Room Acoustics. Control acoustic interference (room modes, peaks and nulls), speaker-boundary interference response (SBIR), slap / flutter echo, and other acoustical problems. Optimize your studio monitor placement, subwoofer placement and critical listening position for accurate imaging with minimal comb filtering and acoustic interference. Unleash the full potential of your studio monitors and subwoofers. Also, proper surround sound speaker placement is essential for getting the most out of your hi-fi media room and home theater setup. Upgrade your live tracking room acoustics to enhance the sound of recordings and performances (control specular reflections, adjust the frequency balance, control RT60 (the reverberation time), create a diffuse reverberant sound field). Treat your critical listening room or home theater so that your audio playback sounds amazing (in stereo or surround sound). Minimize audible distortions caused by your room acoustics. Unleash the full potential of your expensive loudspeakers and hi-fi stereo system. Tweak the sound of your performance or practice space to enhance the musical experience for both performer and listener. Careful consideration will be given to your specific needs, whether your space is a simple vocal booth, a live recording / practice room, or a larger venue with a stage. Soundproof your home recording studio or other space, using the best available, affordable, environmentally friendly soundproofing materials. 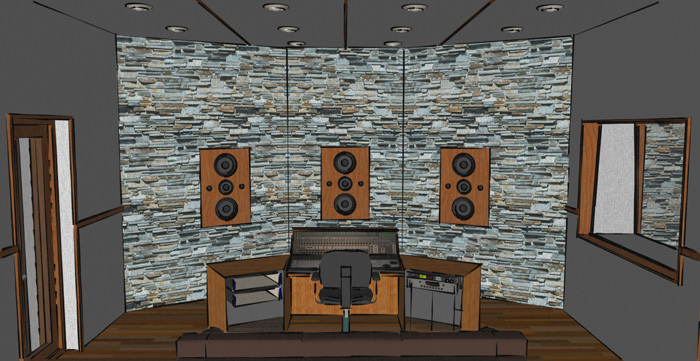 Help you plan your pro recording studio layout or home studio setup, including the layout of recording equipment and placement of acoustic treatments. 1 I can also design your control room from the ground up, to spec, using one of the following design criteria: NE (Non-Environment), RFZ (Reflection Free Zone), LEDE (Live-End, Dead-End), ESS (Early Sound Scattering), FDRZ (Fully Diffused Reflection Zone) or Ambechoic. 2 For special projects focused on sound scattering and diffusion, I can provide custom acoustical analysis using physical modeling. I’ll tell you exactly what treatments to purchase (or build), and where to put them. I don’t believe in one size fits all solutions. Instead, I’ll ask you questions to gain a deep understanding of your needs and desires, assess your room, develop a solution with your feedback, present it to you with drawings and documentation, and answer any further questions you have to help you make it happen. DIY sound diffuser array designed by Tim, built by John White at WhiteConstructionDesign.com. This room optimization and treatment consulting service isn’t for everyone. You think that because the cost of audio gear has radically declined over the years, room treatment should be cheap. It’s simply not true. Effective room treatment requires lots of raw material and a plan of action customized to your needs. You’re on a shoestring budget. There are forums that give free advice, and certain acoustic treatment vendors provide consultations when you buy their products. It will likely take you many hours of research to learn how to competently solve your specific problems, but if you have the time and interest you might find it worthwhile to embark on that journey. 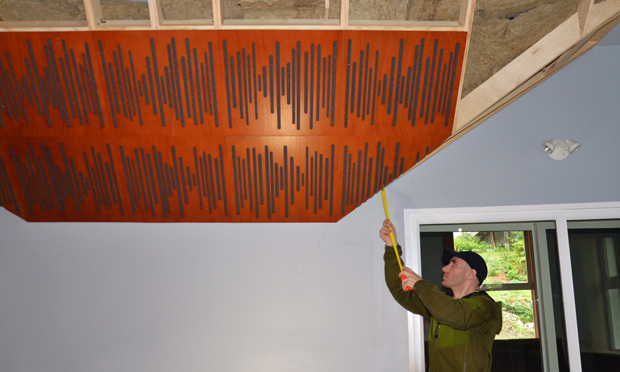 You’re serious about upgrading your sound and you want the best possible acoustics in your rooms. You want a room treatment blueprint designed to solve your problems, but you don’t have the time to become an acoustical expert. 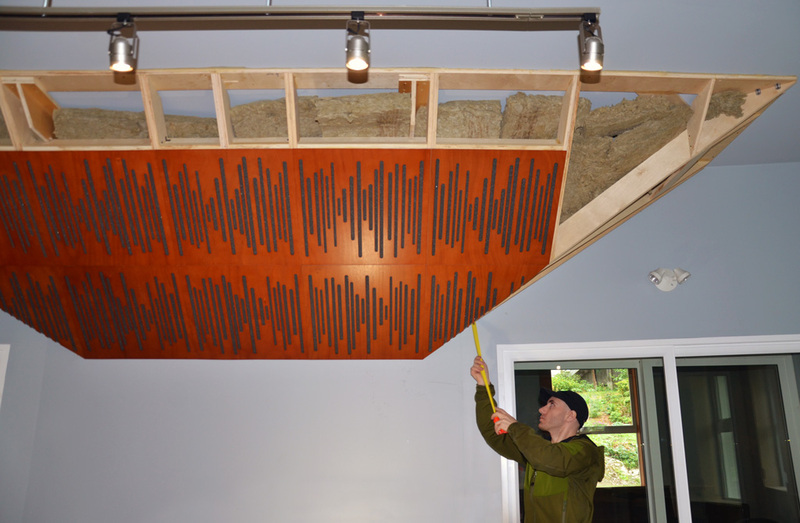 You don’t want to risk investing in the wrong acoustic treatment products. You don’t want to purchase all your acoustical products from one specific vendor. You want unbiased recommendations. You plan to build your own room treatment products, but you need help figuring out where to place them. 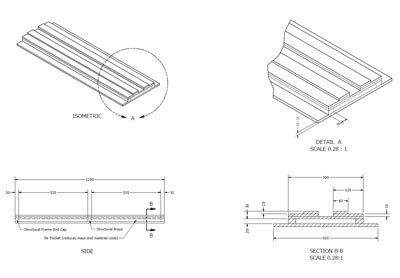 You need specifications on how to build custom acoustic treatment devices. First, you’ll tell me a bit about any rooms you would like to treat. Feel free to send me your basic requirements now by clicking the big button in the sidebar, or you can keep reading to learn more about the details. I’ll follow up with you with more questions to help further understand your needs and desires. Then, if you and I think the project is a good fit for both of us, I’ll submit an organized, bullet pointed list of requirements and room treatment goals for your review. An organized, bullet pointed list of requirements and room treatment objectives. Once we’ve defined the requirements, I’ll devise a room treatment solution and present it to you for feedback. I’ll include all the information you need to apply the treatments to your rooms and achieve the results you desire. A list of treatments required, including product recommendations: Broadband absorption, diffusers, bass traps, wall panels, acoustic ceiling tiles, and any other acoustical solutions needed to achieve your goals (within your budget). 2D floor plan showing the layout of acoustic treatments: Dimensioned room layouts showing you exactly where to mount the recommended treatments (bass trap placement, broadband absorption and diffusion, RFZ treatment for early reflections, ceiling cloud, etc). 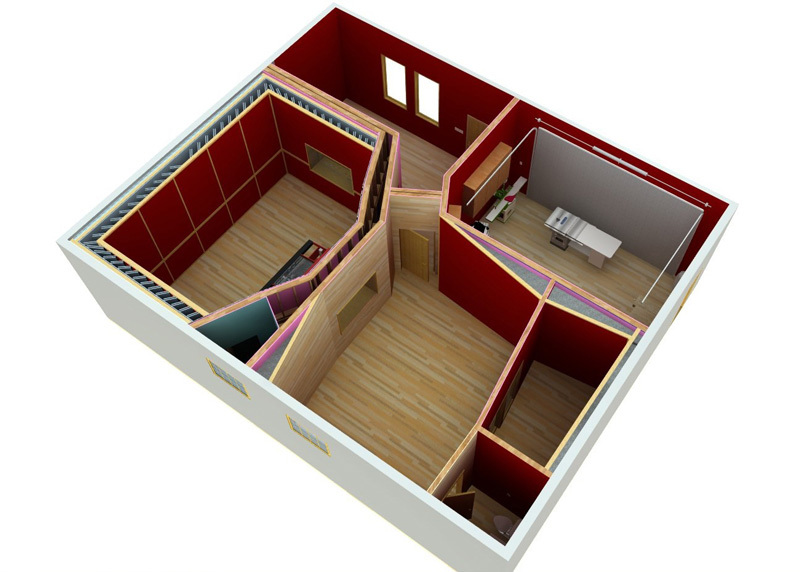 3D Sketchup Model of the interior: To help you visualize the placement of acoustic treatments, I’ll provide you with 3D visualizations of the room layouts. 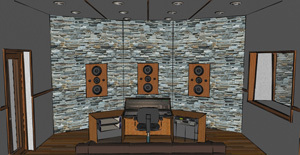 Layout and treatment of three mixing / critical listening rooms (surround sound and stereo). 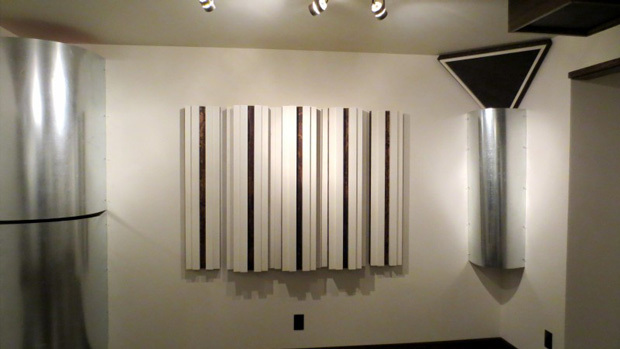 Showing acoustic panels for early reflection control, bass absorption systems (“bass traps”) and diffusers. 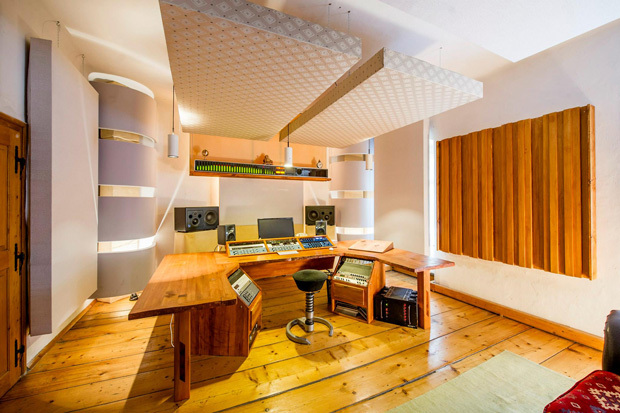 Studio live room designed by John White, featuring acoustic diffusers designed by Tim. Built by WhiteConstructionDesign.com. Typically Covers a Medium Sized Control Room, Listening Room or Live Room. 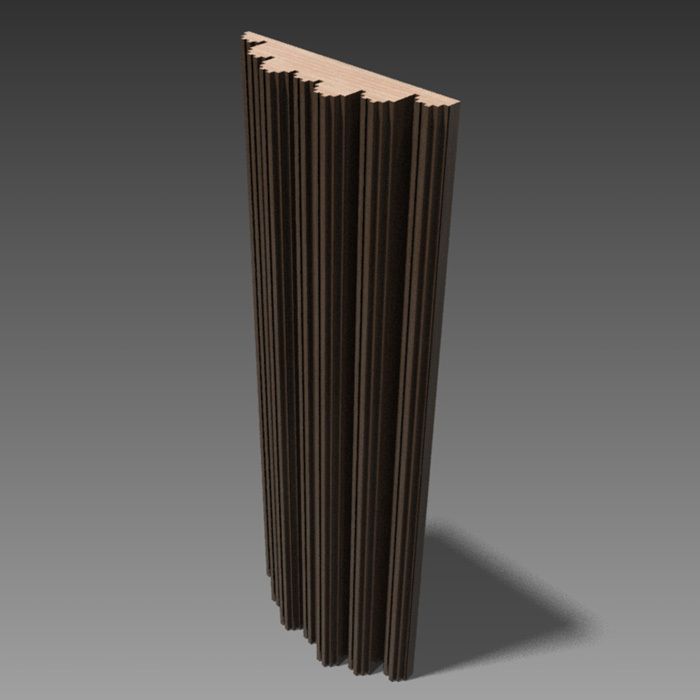 An organized, bullet pointed list of acoustic treatments required (e.g., absorbers, diffusers, bass traps) to achieve your goals, including product recommendations within your budget. 2D floor plan showing the layout of acoustic treatments. 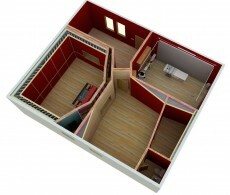 3D Sketchup Model of the interior showing any other necessary acoustic treatment placement details. Unlimited email support for 60 days. 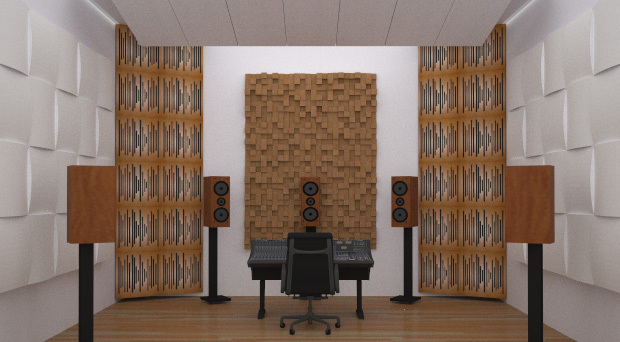 Early Reflections Analysis and Speaker Placement: These additional services are offered for control rooms, mastering rooms and listening rooms where acoustic treatment and speaker placement must be determined using ray tracing and acoustic measurements. We also offer speaker and subwoofer placement optimization for surround sound media rooms (e.g., home theaters). Click the button below to start your free initial consultation and get a quote for this service. Typically Covers 2 Small / Medium Sized Rooms (E.g., Control & Live Room). An organized, bullet pointed list of acoustic treatments required to achieve your goals (within your budget), including product recommendations. First Reflection Points Analysis and Loudspeaker Placement: These additional services are offered for control rooms, mastering rooms and critical listening rooms where acoustic treatment and speaker placement must be determined using ray tracing and acoustic measurements. 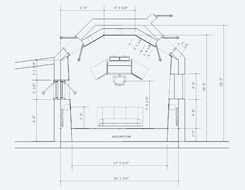 We also offer speaker and subwoofer placement optimization for surround sound rooms. Typically Covers 3 Studio Rooms (E.g., Control Room, Live Room & Iso Booth). First Reflection Points Analysis and Loudspeaker Placement: These additional services are offered for control rooms, mastering rooms and listening rooms where acoustic treatment and speaker placement must be determined using ray tracing and acoustic measurement. We also offer speaker and subwoofer placement optimization for surround sound rooms. We can optimize your room setup, speaker and subwoofer placement using acoustic measurements. I can guide you through the measurements, analyze the results and make recommendations to incrementally optimize your sound. No matter how large your rooms, and how many rooms you have, we can develop a solution to optimize your sound using commercial products or DIY acoustic treatment. and tell me about the problems you’re facing and your custom design needs (if you know them). Click here if you’re looking to build your dream studio from the ground up. 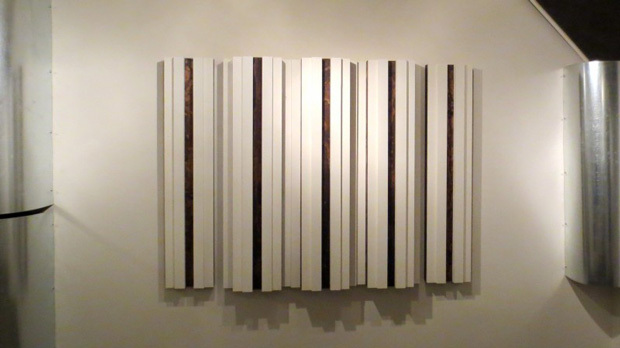 Diffusers designed by Tim & other acoustic treatments in studio designed by John White. Built by WhiteConstructionDesign.com. 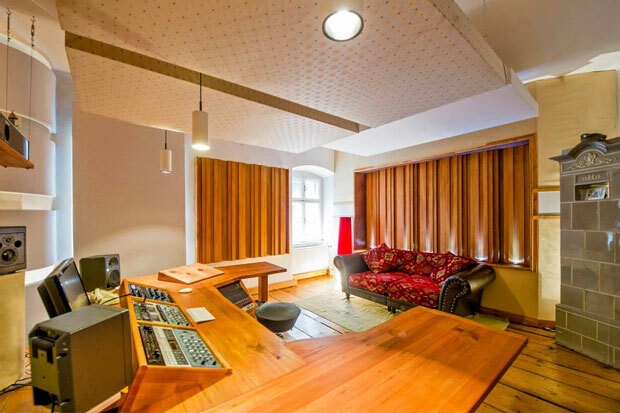 Castle Mastering Studio at Castle Wildberg in Upper Austria, featuring our acoustic diffuser panels built into the side and rear walls. Built and run by audio engineer Alexander Jöchtl. Photos by Karin Lohberger Photography. To start your free initial consultation, click the blue button below. You’ll be taken to a form with a few questions about the rooms you want to enhance. Fill out the form, and I’ll get back to you! 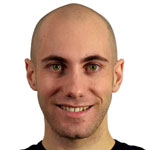 Tim Perry is Arqen's studio designer and acoustical specialist. See Tim's LinkedIn CV to learn about his background. 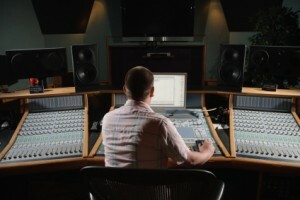 If you're looking to build your dream studio from the ground up, Tim offers a premium recording studio design service. Would You Like a FREE Email Mini-Course on How to Treat Your Room for High Fidelity Listening/Mixing? The 3 Golden Rules for treating your room. Where to mount bass traps, absorption & diffusion. Bonus material (like free DIY diffuser blueprints).